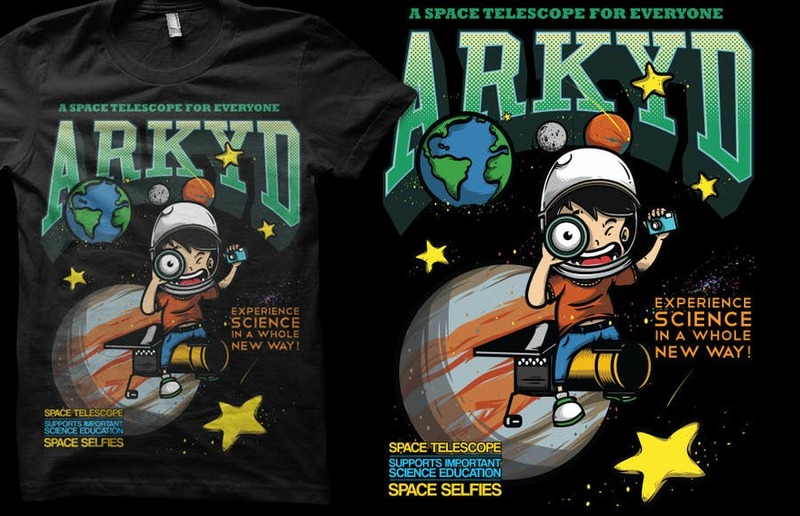 Earthlings: ARKYD Space Telescope Needs Your T-Shirt Design! Postoni një konkurs si ky! Experience science in a whole new way! Here's my entry for you contest. Tell me what you think. A feedback is appreciated. Thanks a lot! And more power to ARKYD!! my bf loves this :) heart from me and him ! Can be printed using CMYK Silkscreen. Nice one I like it! Go #NoyPi! Very simple. It's not something new there are many designs like that . Can you give me a heart with this one #1114 Thank you in advance!